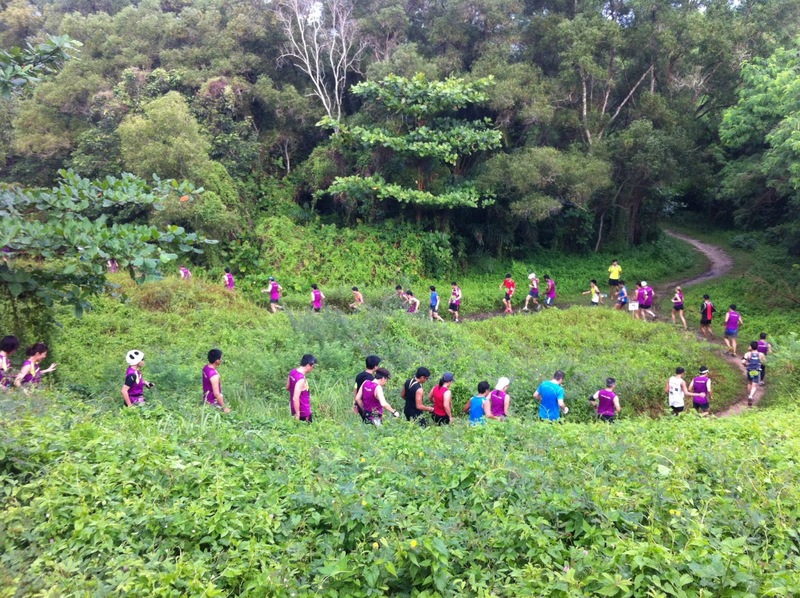 I honestly think the Salomon X-Trail 2012 is the best short trail race in Singapore. Why? Everything about it. Because I’m a Salomon athlete and it’s a Salomon event, because the awesome route and race organisation were sorted by the lovely peeps at Basecamp Venture, because it was great to see everyone with a big grin on their face (at least at the start and finish, anyway!) plastered in mud and sand, and mainly because it was a chance to hang out with all the trailheads and meet new ones. Staged at Tampines Bike Park again, this year’s route was more technical and a whole ton of fun. 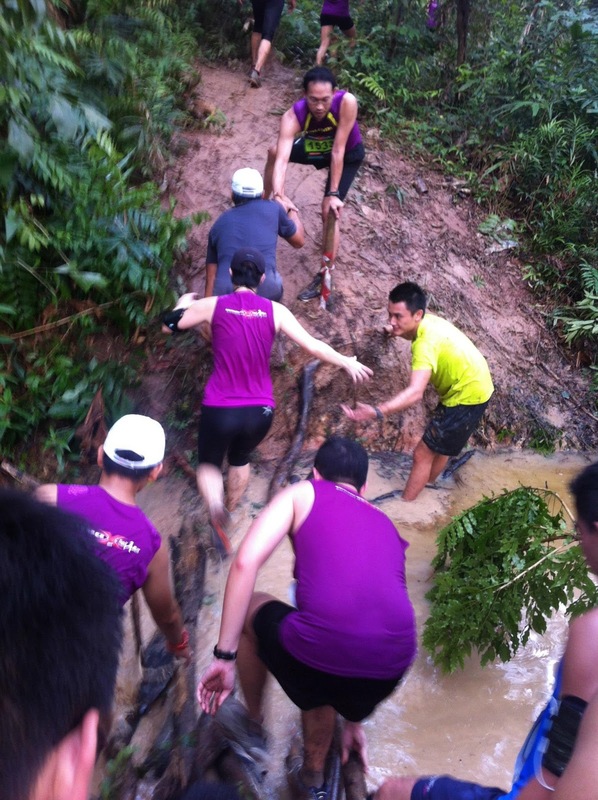 Narrow trails, lots of obstacles and a few wet crossings certainly kept us on our toes! The last few kilometres took us tantalisingly close to the finish, only to divert away again just when you thought you were so close! Smiles all day from the volunteers, who included some of our very own Hammer Athletes, Conrad Yeo and Wilson Low, made for an excellent experience from start to finish. 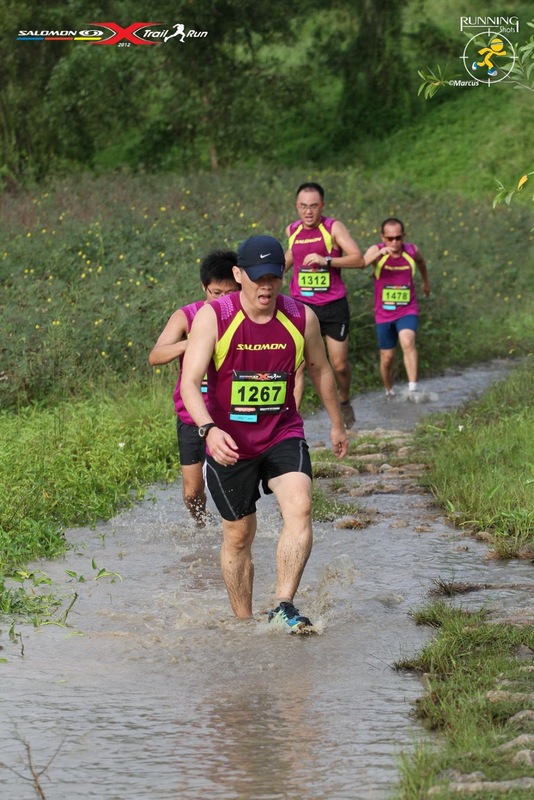 Lots of shoe casualties though .. from getting lost in the muddy ‘river’ crossing, to having bits fall off .. none of them were Salomon strides of course, haha! 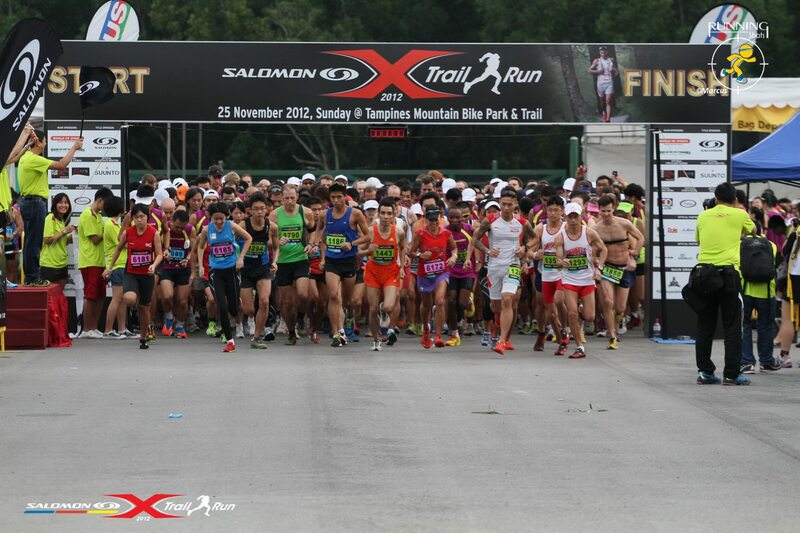 The Salomon Sense was the perfect choice for this race, and held up well under a lot of abuse in tricky conditions! Huge thanks to Salomon for putting on a great race with some very generous prizes that went ten deep in each category, and well done to all who started that morning! Some fast times this year, results can be found here. The Men’s winner Samson Kiplagat Tenai went under 40 minutes, with the rest of the top 10 men not too far behind and Men’s Veterans not looking too shabby either. Vanja Cnops took the Women’s title with a steaming run of 44:12, with Itsuko Tanaka, the Women’s Veteran winner not far behind her. Great fun, excellent company, brilliant pics from Running Shots, Sports Snapshots and friends at the race, and second place in the Women’s Open race. That’s a good day out I’d say! 🙂 Huge thanks to my sponsors Salomon and Hammer Nutrition, great kit and fuelling as always! Better block the date for next year in your race diary! Red Bull gives you wiiiings!